In February, a few hours after the announcement that Pravin Gordhan would be sworn in as South Africa’s new public enterprises minister, he described himself in a radio interview as a “used car”, in reference to his various government deployments by the ANC over the years. It’s clear Gordhan has a reputation as a "Mr Fix-It", and he didn’t hesitate to place the “rampant corruption” that has infested South Africa’s state-owned entities (SOEs) at the top of his to-do list. Reform of SOEs was also a major theme in both President Cyril Ramaphosa’s State of the Nation Address and in former finance minister Malusi Gigaba’s Budget Speech. 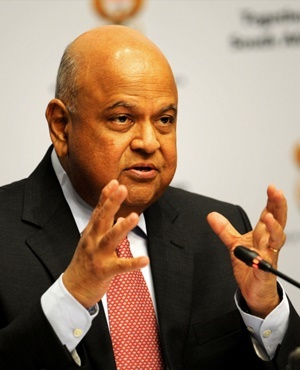 The South African public is very aware that SOEs are a crucial part of our economy and our fiscal system, Gordhan said. Eskom, for example, generates more than 90% of the country’s electricity and controls the entire transmission and a significant portion of the distribution network. Its sustainability is therefore key to the future of the economy. Yet the National Budget in February showed that, of the R466bn in guarantees the government has extended to public institutions, R350bn went to Eskom alone. Of the R350bn in guarantees supplied, R254bn has already been drawn down. These guarantees and the state's exposure to SOEs pose a significant risk to the country’s fiscal position. Of particular concern are Eskom and the South African National Roads Agency (Sanral), who have the largest debt exposure and who both have sub-investment grade, or junk, credit ratings. With Gordhan facing a mammoth task, finweek canvassed civil society players, ex-Cabinet members, former parastatal board members, fund managers and trade union officials as well as infrastructure and regulatory experts on what needs to be done to get these sinking ships afloat once more. Many that finweek spoke to said the minister had a tough task on his hands, one that was going to require new ways of thinking to fix structural and systemic problems in the parastatals. They insist that merely replacing boards and executives is not going to fix these problems. Naturally, there have been calls for the privatisation of some of the parastatals. Some commentators are suggesting that the SOEs should be placed in business rescue, which would allow jobs to be preserved while the organisations are turned around. But he warns that the idea of rescuing the SOEs by placing them in private hands raises the question: Were they purposefully run down to make a case for privatisation? Speaking in February at a briefing hosted by Werksmans Attorneys on what it would take to build a clean government, Popo Molefe, a former chairperson of the Passenger Rail Agency of South Africa (Prasa), said the ANC had played a “pivotal role” in state capture. “The ruling party wants to spend resources it doesn’t have – and once you begin to do so, you become desperate, and therefore corrupt business people come closer,” he commented. The end result is corruption that has “permeated all the SOEs and various departments”, Molefe said. Corruption Watch executive director David Lewis says key questions, such as why SOEs have non-executive directors sitting in board procurement committees and why they have board procurement committees in the first place, need to be answered. However, former SOE board members and former Cabinet members interviewed by finweek suggest that many of the parastatals have systemic and structural problems that can’t be fixed by simply appointing new boards and executives. Wayne Duvenage, CEO of the Organisation Undoing Tax Abuse (Outa), says most of the country’s SOEs revalued their assets between 2009 and 2012, in terms of International Financial Reporting Standards (IFRS). Before the changes to the IFRS, fixed assets had to be valued at cost, but after the changes, they could be revalued away from a cost basis. For example, Duvenage says, in 2009 the value of the roads under Sanral was increased by 145% from R14bn to R32bn. In 2010 their value was upped by a whopping 470% to R187bn, despite no additional kilometres of roads being added. Duvenage says that the difference with SOEs’ bonds is that they are guaranteed by the government. This means, he argues, investment houses mostly turned a blind eye to governance issues and supported the bond auctions. According to Duvenage, these questionable financial reporting practices have allowed the SOEs to get into the holes they are in – Sanral is struggling to settle its debt, no one is buying its bonds and the Gauteng government has announced that e-tolls have failed. In late January 2018, Moody’s further downgraded Eskom’s already junk ratings, this time to “highly speculative”, despite the fact that a new board had been appointed less than a week earlier. Shortly afterwards, the Public Investment Corporation (PIC) had to provide a bridging loan of R5bn to Eskom, to tide it over until bank loans of R20bn could be secured. The PIC already had exposure of R95bn to Eskom before the loan. Wayne McCurrie, portfolio manager at Ashburton Investments, says the fundamental problem at the power utility is that it has been trying to build 50-year assets out of borrowings and cash flow, instead of recapitalising Eskom to fund the build. Even if state capture, incompetent management and overruns in time and costs for new power generation projects were removed from the equation, Eskom would still be in trouble, McCurrie believes. Grové Steyn, managing director at Meridian Economics and one of the country’s leading infrastructure and regulatory economists, says Eskom has been able to take excessive risks because it enjoys a monopoly in the energy sector and can pass all the costs to the consumer. The Medupi and Kusile coal-fired power stations, which are behind schedule and significantly over budget, will deliver energy at a cost of R1.50 to R1.70 per kilowatt-hour, he says. Renewable energy costs 70c to 80c a kilowatt-hour. “The world has changed,” according to Steyn, and the rationale for an SOE in electricity generation has disappeared. He believes the future is in renewable energy, and adds that a competitive market is needed to get the best out of "green" energy. A former Zuma Cabinet member, who has had plenty of dealings with SOEs, says parastatals have a critical developmental role to play in South Africa, but that coordination across SOEs is severely lacking. The former minister, who was speaking off the record, adds that a lot of the SOEs face a “minefield of structural weaknesses”, which allows parasitic looting. As an example, he points out that even though Transnet had upgraded its major engineering facilities, Prasa contracted in external empowerment partners to refurbish its rolling stock. It should, instead, have commissioned Transnet to do the work, as the rail, port and pipeline parastatal has the necessary skills and experience, as well as spare capacity. He says that Prasa's average rolling stock was “hopelessly too old” – over 45 years – before the upgrade. Prasa’s multibillion-rand contract for new locomotives has been dogged by allegations of corruption. The contract was awarded to Swifambo Rail Leasing, a company that had no footprint in the rail sector and instead subcontracted European company Vossloh España to produce the Afro4000 locomotives. It is alleged Vossloh España made payments totalling R75m to a company owned by a former colleague of Lucky Montana, the Prasa CEO at the time the contract was awarded. Montana, who has denied any wrongdoing, was fired in 2015. Earlier this year, he alleged in Parliament that former minister of energy and transport Ben Martins had introduced him to Tony Gupta and Duduzane Zuma in a bid to get the Prasa tender awarded to them – despite the fact that the contract had already been awarded. Martins has denied Montana’s claim. State arms manufacturer Denel is another parastatal surviving on government guarantees. “It’s not commercially viable,” says Ashburton’s McCurrie. Former minister of public enterprises Lynne Brown announced that Denel needed new financing if it was to avoid defaulting on R1.85bn in government-guaranteed loans. According its 2017 annual report, Denel's total debt is more than R3bn. In December 2017, Treasury had to provide an emergency government loan guarantee of R580m so the parastatal could pay its employees and suppliers. But it’s hardly the only problem child. “The second on that list is PetroSA,” says McCurrie. He says a critical factor is that SOEs should have to operate in competitive markets in order to make them efficient. Steyn claims SAA clearly wouldn’t survive if it had to compete without fiscal support from the government. The airline is technically insolvent. Of the R19.1bn loan guarantee facility from the government, the airline has drawn R14.3bn. To put the magnitude of this sum into perspective: The VAT increase announced in February is expected to raise about R23bn. Part of the problem is the lack of permanent leadership at the carrier, with SAA recently appointing Vuyani Jarana its first permanent CEO since 2015. McCurrie says that a new board and turnaround plan for SAA is all good and well, but he doubts the airline can compete on commercial terms without bringing in a foreign partner. Steyn adds: “If the SOE can’t survive in a competitive market, then it is inappropriate to have an SOE in that sector. There are some sectors where there is just no economic rationale for an SOE. Duvenage says that political meddling in the SOEs has cost South African dearly. “Zuma took them from being on the edge to where they have to be bailed out,” he comments. “If you look at Denel or Transnet and you go back eight years, they were not in the situation they are now in. Meridian’s Steyn comments: “Cadre deployment is a terrible idea. There is a reason it’s an SOE and not a government department; it needs to be run at arm’s length with full transparency. “There need to be clear rules governing the relationship between the board and the executive of the SOE,” he says. One former SOE board member, also speaking off the record, says politicians see the parastatals in a linear state of control. “Decisions are always political. They don’t recognise that as a problem; it’s just how they see the world. Corruption Watch’s Lewis, who has also served on the boards of the Industrial Development Corporation (IDC) and SAA, agrees. “When the shareholder sees its role as appointing the CEO, the chief financial officer and the chief operating officer, those people consider themselves answerable to the shareholder and not the board,” he says. “The shareholder should appoint the board and give it a mandate and then allow it to appoint the executives, draw up the strategy and implement the mandate. Molefe adds that “very intelligent young professionals” have had their careers destroyed. “They were made to believe that the only way they can continue to work in these institutions is by being pliable, by being docile, by agreeing to be used by politicians,” he explains. Speaking off the record, a role player in the legal fraternity who has taken on corrupt SOEs, says that often, if a board tries to act with any independence, it is frozen out or removed: “Once the board doesn’t see its role as corporate governance, wholesale looting can take place. “A lot of people say the problem is Parliament,” she comments.